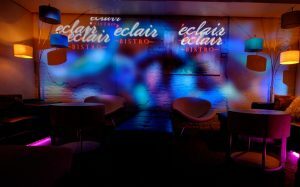 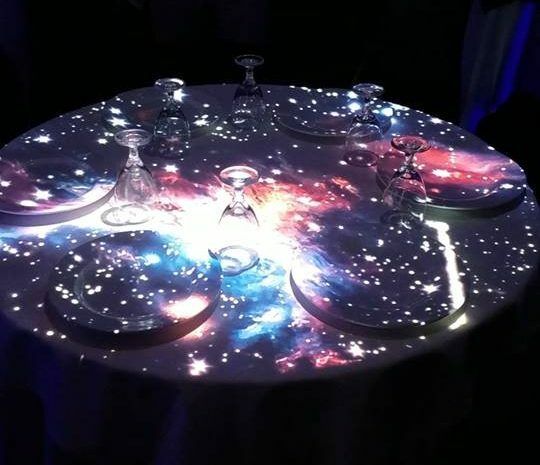 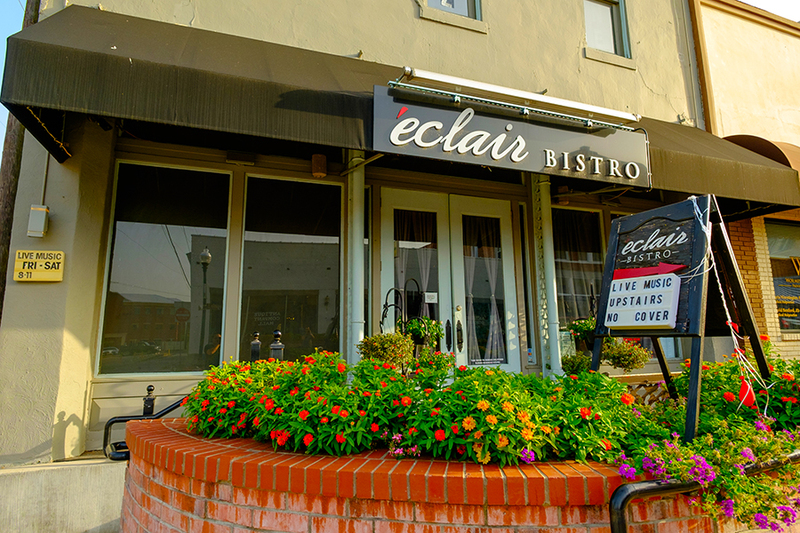 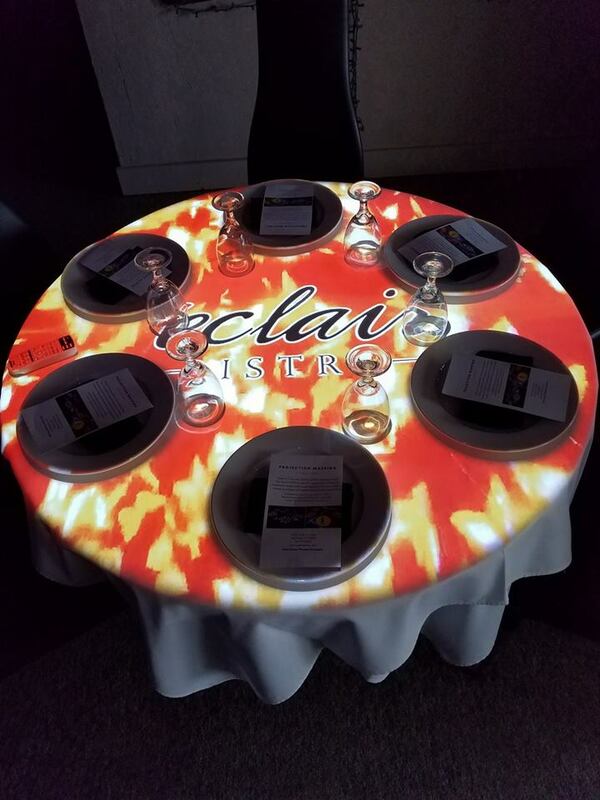 Éclair Bistro and Martini Jazz Lounge started projection mapping table tops in 2016 with a chef’s tasting menu on two tables. The experience maps the table and plates for a unique experience that compliments a delicious menu. 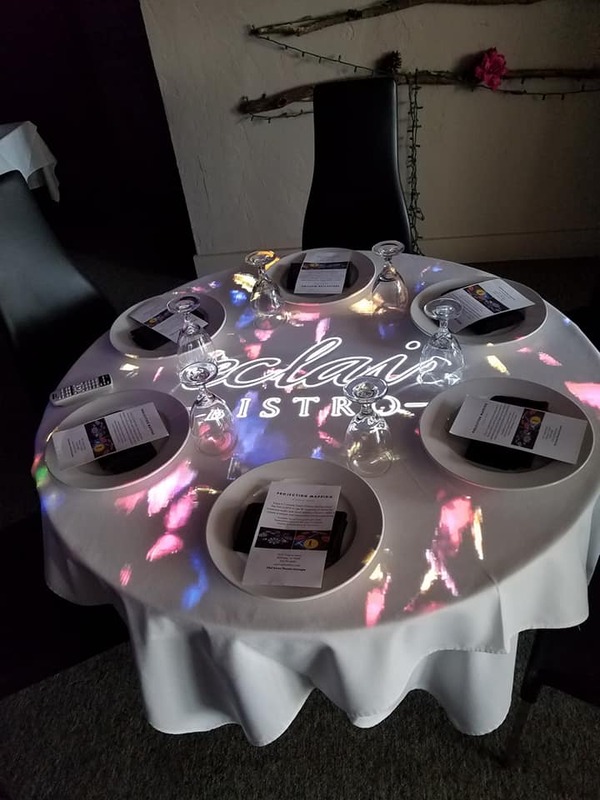 Starting with the main dining area, the two existing projection mapped dining experiences were upgraded with a pair of ProScene WU615T projectors. 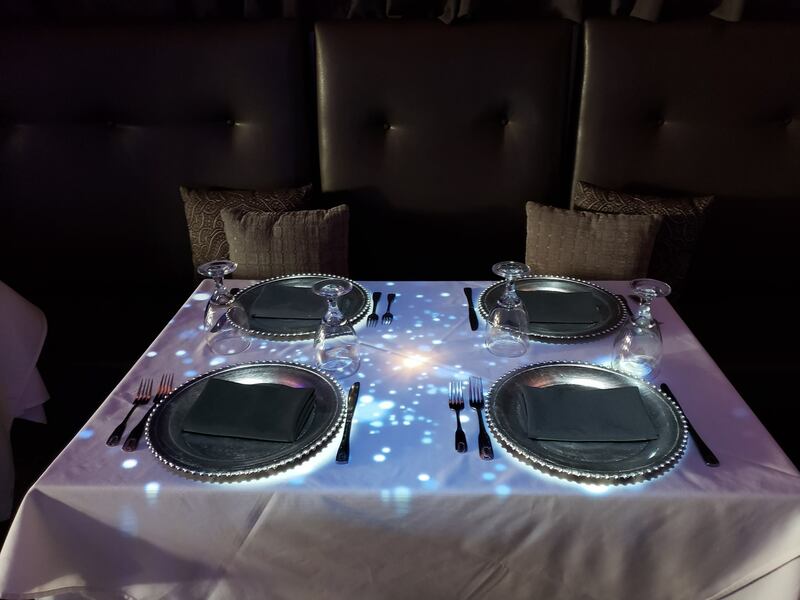 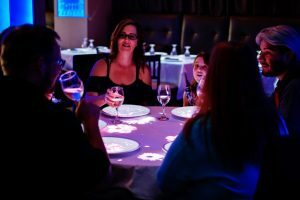 The projectors’ DLP® technology and WUXGA resolution provide sharper visuals with more color vibrancy that greater compliments Chef Thomas’ cuisine. Its high 6,500 lumen brightness ensures the projection mapped dining experience works throughout the year. 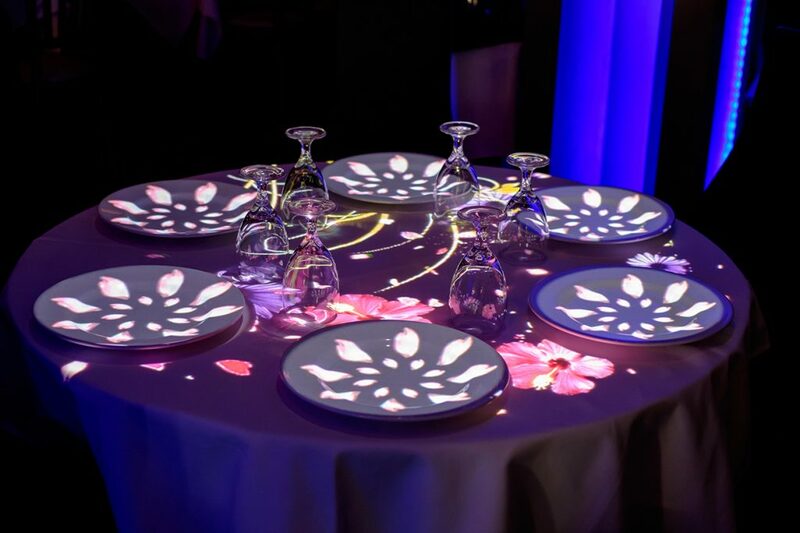 Microsoft Kinect motion input sensors.